Food giant Nestle USA announced on Wednesday that it will move its corporate headquarters to Rosslyn, occupying the region's tallest office building and bringing hundreds of high-paying jobs to the area. WASHINGTON — Food giant Nestle USA announced on Wednesday that it will move its corporate headquarters to Rosslyn, occupying the region’s tallest office building and bringing hundreds of high-paying jobs to the area. “This is a phenomenal place for business. It is a great place for our employees. And it’s a great place to find new talent,” said Paul Bakus, president of corporate affairs at Nestle. The move to 1812 N. Moore St. allows Nestle to be closer to its customers and will allow the company to grow and evolve, company officials said. “As we looked to the future and looked at how we wanted to organize ourselves to be competitive in the marketplace and really drive our business and really grow our business in this great country, we looked no further than Rosslyn,” said Bakus. Employees at the company’s current headquarters in Glendale, California, were told of the move earlier in the day. The majority of those 1,200 workers will have the opportunity to relocate. About 750 of those jobs will move to Virginia and the others will head to the company’s divisions in Solon, Ohio, and St. Louis, Missouri, the company said. Nestle expects to invest $39.8 million to relocate to Rosslyn, a process that will begin in September. The Switzerland-based chocolate company is the world’s largest food company and includes Purina, Gerber and Stouffer’s among its many brands. Nestle USA operates 87 factories in 47 states — including three in Virginia. Nestle expects to lease 40 percent of the North Moore Street building initially with the option to expand, according to Monday Properties, which built and operates the 35-story office tower Nestle will occupy. The property has sat vacant since its completion in 2013 as Monday Properties searched for top-tier tenants to occupy the LEED Platinum-certified office space that offers spectacular views of the nation’s capital. “We always wanted (the building) to be sort of a beacon of Arlington’s growing and evolving economy, a symbol of our place on the East Coast and our place in that East Coast economic hub,” said Jay Fisette, chair of the Arlington County Board. “We found our perfect partner, and they found us,” he said. Virginia Gov. Terry McAuliffe called it a historic announcement and said that Virginia will provide $10 million in grants to support the move. Arlington County will contribute another $6 million, part of which will go to transportation infrastructure in the area around Nestle’s new building. The county will also provide relocation assistance to Nestle employees. Nestle’s decision to move to Virginia comes at a time when the governor has been working to diversify the state’s economy so that it is not so reliant on federal spending. Reduced spending as the result of sequestration had an outsized effect on the region and the state’s economy that lingers today. The company’s arrival will also be a boon to the county’s commercial tax base and adds to the momentum building in Rosslyn as commercial leasing picks up, said Mary-Claire Burick, president of the Rosslyn Business Improvement District. 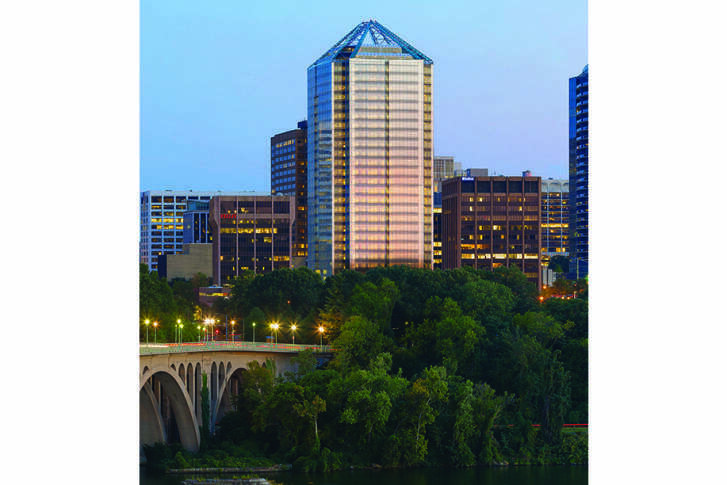 Rosslyn’s central location with access to Metro and its urban lifestyle makes the area uniquely situated to attract world-class companies like Nestle, Burick said.